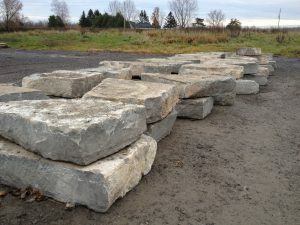 Ottawa Bobcat Armour Stone | Greely Sand & Gravel Inc. 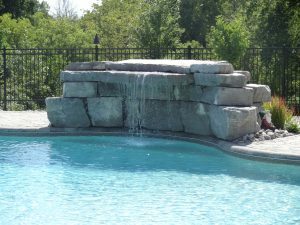 Note: each wall stone ranges from 0.75 metric tonnes up to 1 metric tonne. We can install your retaining wall stone using our compact excavator CAT 320E LRR with a rotating grapple for fast and easy installation. Call 613-821-3003 for more information. 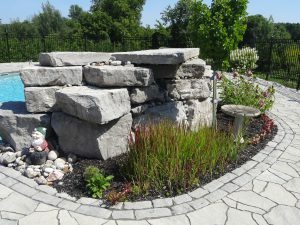 We recommend you come visit our landscape depot at 1971 Old Prescott Road to view our wide range of Bobcat Armour Stone on display. Click here for directions.